Here is DNS Provider’s List including Cloud DNS, Managed DNS, DDNS and Free DNS Services. We Need a DNS Service for Various Reasons including adding various records. We explained what is DDNS, DNS Records and Analysis of Routing etc. things. This DNS Provider’s List, at the time of publishing has a clearcut free and paid division among all the list you have read. Because, this is deciding factot for many users and developers. Not all are exactly for web hosting purpose. CloudFlare, for example is basically for web hosting. DNS has other usages too. CloudFlare : Initially it was launched as a security product. It became Popular DNS service for the free tier. Honestly at free it is enough good. Millions of spammy websites behind two random NameServers. Rackspace Cloud DNS : It is Free but honestly not the best. Only two sets of NameServers. Millions of spammy websites with those two sets of two NameServers. It was good once. It is powerful from technical part. DigitalOcean : DigitalOcean has a Primitive DNS Service. It is Good as Free. ChangeIP.com : Try it. It has lot of Free unique services. Dyndns.dk : Free, not tested by us. Dyns.cx : Free, not tested by us. minidns.net : Free, not tested by us. Google Domains : Possible Dangerous Scheme. SSL Cert is Free. Possibly all of the Cloud IaaS Service Providers has a DNS service Not all are Free. We are not listing them as we have not used them or users of the services knows them. Paid means, we are somewhat recommending them. Bad quality can not be allowed. HP Cloud DNS : Powered by Akamai DNS. It is not Free but cost is less if you are using HP Cloud product. It is frankly used by high end websites. Akamai DNS : Powerful Enterprise Grade DNS. Not direct service to the small users. Cotendo was acquired by Akamai in 2012. Neustar UltraDNS : Quite old service. Dyn : Dyn is just one step less powerful than Akamai in terms of number of POPs. Which makes Dyn, single standalone possible best independent, low cost service. easyDNS : Smaller but known DNS provider. DNS Made Easy : Smaller but known DNS provider. Verisign Managed DNS : Known, good service. UltraDNS : Again, a known Service. noip.com : Has different services. All are standard and known in our paid services list. Among the Free, CloudFlare is well known. CloudFlare Free is also used by us. Frankly, it is not possible and not needed to use a paid good service like Akamai all the time for all kind of Domains. Dyn is probably a better option. Without Payment, we can not review. It takes huge time and resources to rightly test. We used HP Cloud DNS, Akamai DNS, Verisign, Dyn, Rackspace Cloud DNS, CloudFlare, DigitalOcean etc. for our purposes. Rackspace Cloud DNS is honestly bad compared to the level they want to promote themselves. When Others are proving 6-8 NS with limited number of users per NS with IPv4 addresses which were never used. Where is Free? You are paying $50 minimum for Infrastructure. Hidden cost in another way. HP, Dell, Fujitsu, Intel, IBM to DigitalOcean – which IaaS or Private Cloud you want? DNS is related to Hosting. If you are not using HP Cloud (HP has lot of types of Cloud, we are talking about the services for the Enterprises), CloudFlare, Dyn both are good for different purposes. Domain, Mail, DNS, Servers, backup – all should be from different companies services. Do not try to make all-in-one solution. Today or tomorrow, you’ll understand the problem. At minimum, use 3 NS. As per IEEE and RFC, there must be at least two NS records listed in a delegation and the hosts must not resolve to the same IP address. But in real, minimum 3 makes it better. Not all of 6 or 8 NS actually always works. 3-4 works, others stand and wait for the failure. It takes a bit time to get all working. With one NS, you’ll get up to 93% uptime. With 2 NS, you’ll get around 99% uptime. Keep a reverse proxy and add 6+ NS, automatically up time will be 99.9% provided – there is active failsafe measures from cross service providers and is highly scalable, has predictable traffic etc. Twitter gets snapped off for sudden surge of traffic. 99.99% is not practical with one web server. You’ll have to update and upgrade the server. Dynamic DNS works better in this part. Before the update and upgrade, you can take a snapshot and spin a new instance and add behind the domain. Snapshot taking process can make the web server down for few seconds. 99.99% + is hypothetical, only possible if there is no traffic, no update. Individual service should have over 99.99% uptime warranty. Otherwise, uptime will go down to 95% and you’ll get mad finding the cause. Google Webmasters Tools is very important. This Article Has Been Shared 9322 Times! Here is Our Selected List of Cheap Dedicated Server Providers. Dev Works Does Not Go Bad on Dedicated Servers From $5 to $100/month Range. 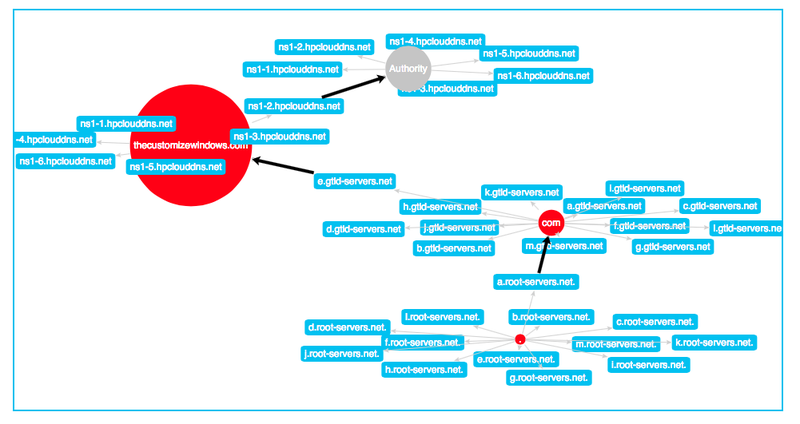 Cite this article as: Abhishek Ghosh, "DNS Provider’s List : Cloud DNS, DDNS and Free DNS," in The Customize Windows, February 16, 2015, April 23, 2019, https://thecustomizewindows.com/2015/02/dns-providers-list-cloud-dns-ddns-free-dns/.